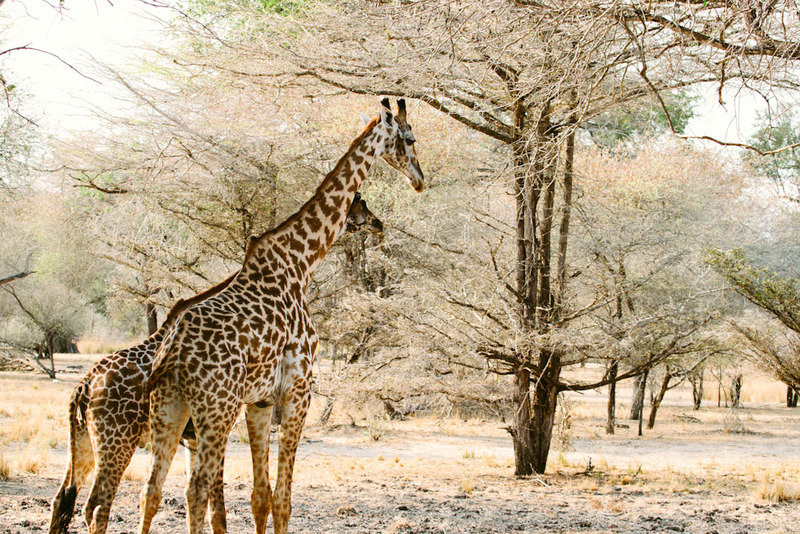 Roam the 50,000 square-kilometres that is the Selous Game Reserve in Tanzania. 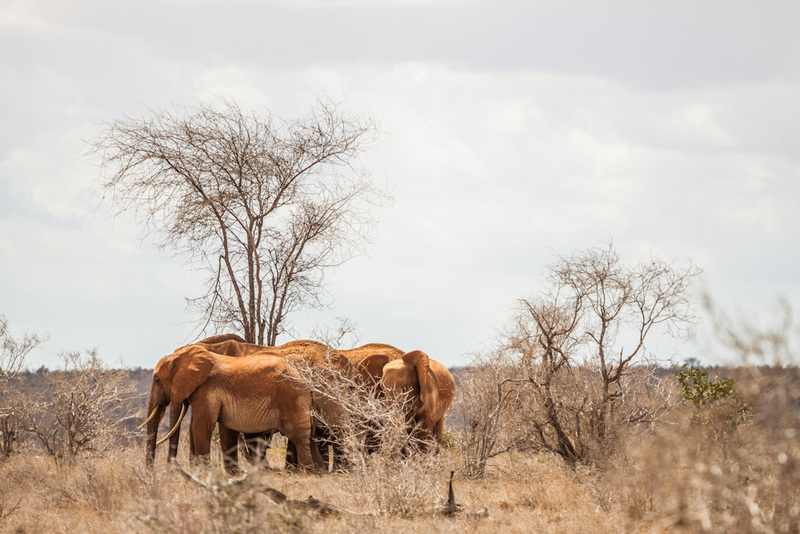 A herd of dusty elephants in Tsavo East National Park, Kenya. 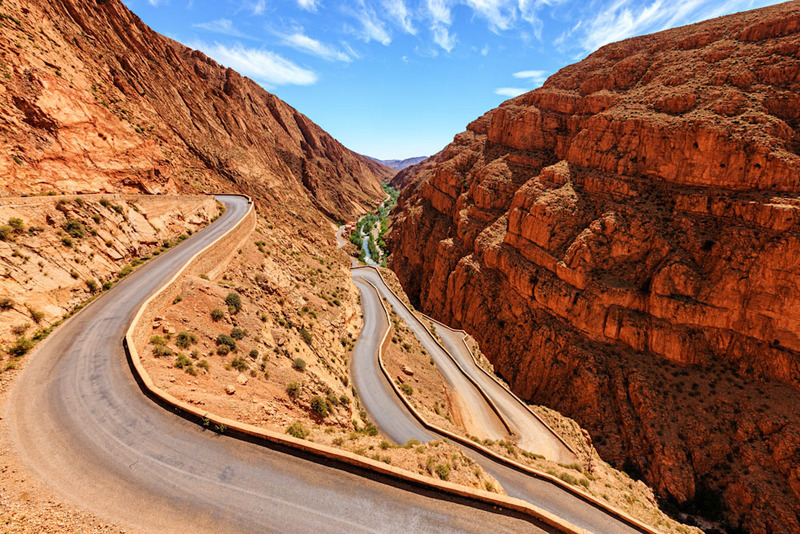 The famous winding roads and red cliffs of Todgha Gorge in Morocco. Ancient Roman city in Tunisia, Dougga. 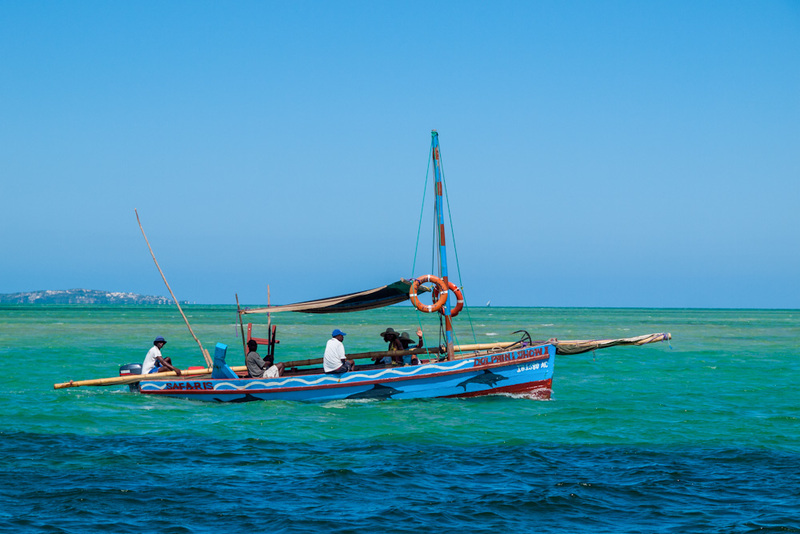 In Bazaruto Archipelago, Mozambique, a traditional sailing boat called a 'dhow' bobs on the water. 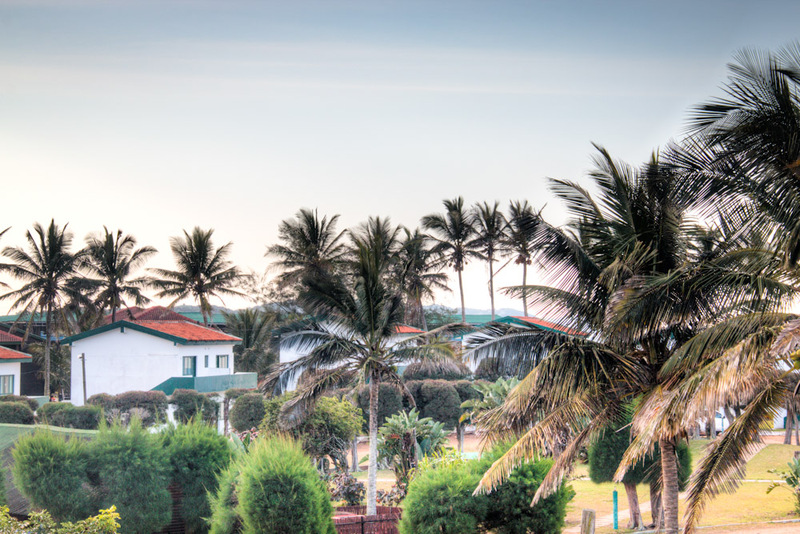 Beachside resort with an ocean view in Ponta do Ouro, Mozambique. Known for its top-notch wineries and food, Franschhoek is the 'Gourmet Capital of South Africa'. Africa conjures up images of wild savanna plains with herds of elephants roaming and lions prowling. However, with ancient Roman ruins in Tunisia and wonderful wineries in Franschhoek, the 7 Secret Gems of Africa aim to go that little bit deeper. See all of our 100 Secret Gems here. In between Nairobi and Mombasa. One of Kenya’s oldest national parks, Tsavo East is nine times bigger than Maasai Mara National Reserve. It’s famous for dust-red elephants with more than 10,000 here; you’ll also spot lions, leopards, rhinos, buffalos, crocodiles, hippos and around 500 species of birds. The landscape includes the 300-kilometre Yatta Plateau, an ancient lava flow that attracts migrating birds; Lugard Falls, where the Galana River empties into croc-infested pools; and Aruba Dam where you’ll likely spot prides of lion. In the High Atlas Mountains. The Atlas Mountains are laced with breathtaking hiking trails, but one of the most dramatic places to explore is the winding depths of Todgha Gorge. With its red cliffs rising up to 160 metres high on each side and its narrowest point coming to a width of just 10 metres, there is an easy, winding path along the floor of this ancient chasm, carved out of the rock by the Todgha and Dades rivers. Accessible by road from the nearby town of Tinghir, pick your way through the narrow stretches past Berber villages and pretend you’re Indiana Jones for a day. This ancient city sits in the inland mountains of north-west Tunisia. 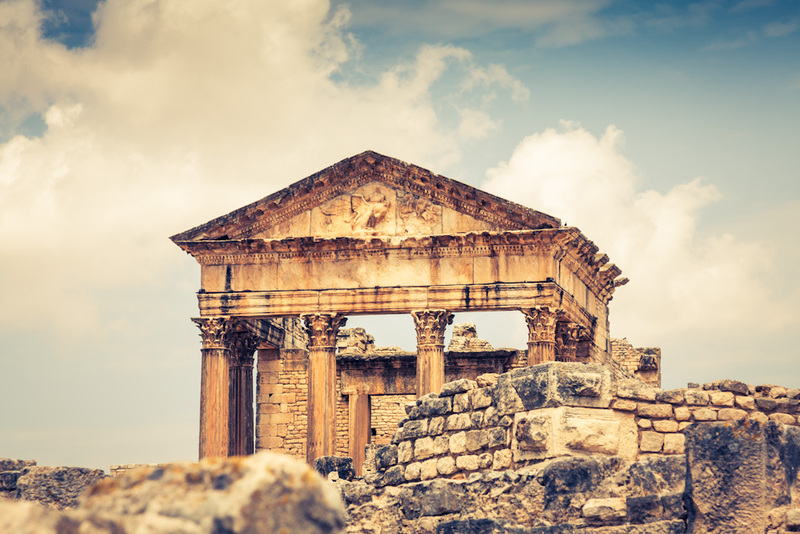 Perched at 571 metres, the ruined city of Dougga dominates the valley of Oued Khalled. Believing it to be the best-preserved Roman town in North Africa with very little to disturb it in the past century, UNESCO declared it a World Heritage Site in 1997. There have been many astonishing finds, including a tomb unique to the Numidian world (202–46BC); an underground burial chamber, thought to have been a pagan cemetery; Licinian Baths with tunnels used by slaves; and grooves from chariot wheels still evident on the ancient stone streets. In southern Tanzania, 250 kilometres from Dar es Salaam. The sheer vastness of Selous Game Reserve (a staggering 50,000 square-kilometres) makes it almost impossible to count the game that roams free here among its wooded grasslands, groundwater forests and lowland rainforest, most of which remains blissfully undisturbed by modern man. The roster is impressive enough: elephants, black rhinos, hippos, crocodiles, lions, giraffes, zebras, impalas and more than 440 species of bird. A collection of islands off Mozambique’s east coast. Head out to the Indian Ocean from the mainland city of Vilankulo and you’ll find a collection of sandy islands dotted with luxury resorts, fine beaches and traditional dhow sailing boats skating the horizon. The rocky island of Santa Carolina takes just 40 minutes to walk around, with coral reefs just off its beaches. You’ll want to pack your snorkel as the entire archipelago is a marine national park, home to whale sharks, dugongs and manta rays. Ponta do Ouro (Tip of Gold) is barely north of the South African border, on the very heel of Mozambique. Ponta do Ouro encapsulates the highlights of Mozambique’s coast – the white beaches, dense dune forests, and ever-stretching azure sea, without the need to negotiate the country’s elongated shoreline. This laid-back beach town has serious scuba diving and dolphin-watching cred, without the tacky fanfare and development. A traditional open-air market, replete with eager curios sellers and cantinas, will satisfy your shopping fetish, while a seafood platter at one of the quaint cafes will keep your appetite in holiday mode. An hour east of Cape Town and less than half-an-hour from the wine country of Stellenbosch. Known as the ‘Gourmet Capital of South Africa’, Franschhoek is all about fabulous wineries, top-notch restaurants and some truly lovely hotels. 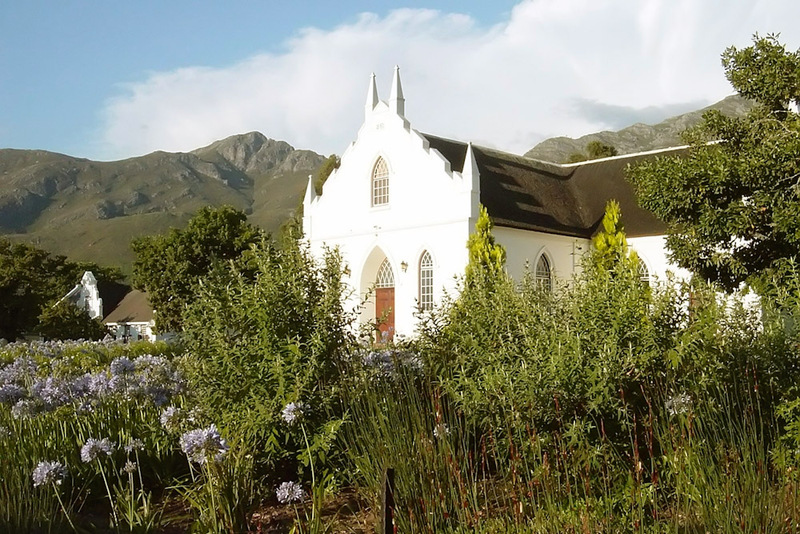 Nestled between mountains, Franschhoek (Dutch for ‘the French Corner’) was established more than 300 years ago by the Huguenots who brought with them French cuisine. Spend days hopping between the 40 vineyards and sampling the Cape’s finest wines from sauvignon blanc to full-bodied cabernet sauvignon among Cape Dutch architecture. MORE… Can’t get enough of the Africa?